I love these fruit butters on croissants, scones, english muffins, and toast. 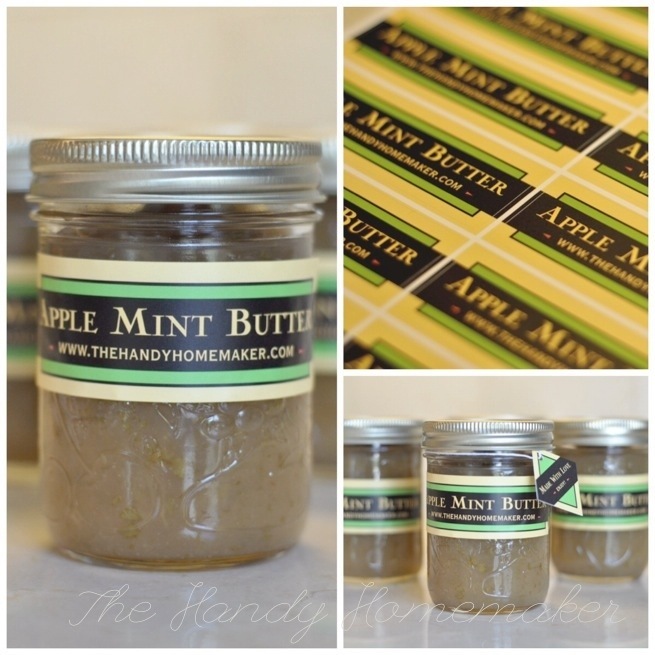 Apple mint butter can also be a delicious condiment to serve with pork. 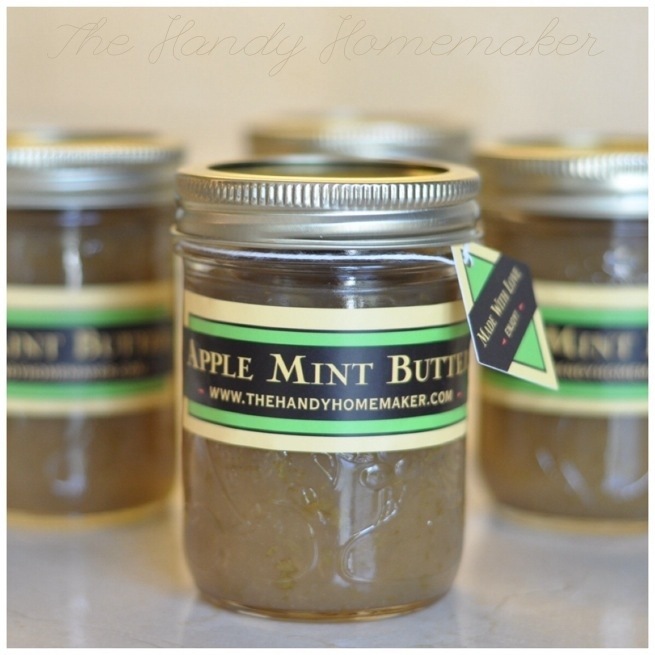 I usually make pumpkin butter and crabapple butter with lots of sugar. I decided to replace the sugar with half the amount of maple syrup my previous recipe had called for. This cut in sweetness now allows the freshness of the mint, lime and the tartness of the apples to shine. I am always in search of things to do with that massive garden of mint. I might have been thinking about making a “mojito” at the time, I came up with this recipe. My crabapple recipe follows the same instructions as below except I use lemon instead of lime, and cinnamon, ginger, and cloves for spices. Crabapple butter is a little more work as I strain off the crabapple juice to make crabapple jelly, then use the pulp to make the Apple butter. Which is why I love the ease of using Gala and Granny Smith apples. 3. 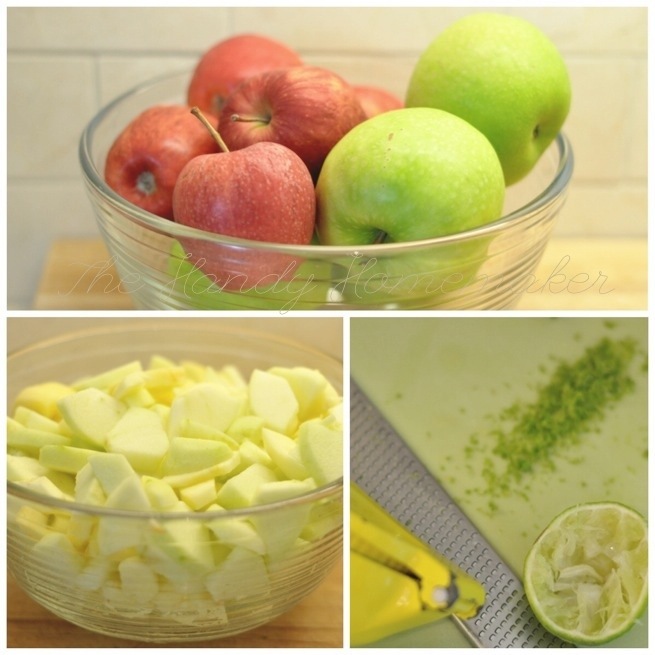 Squeeze the juice of one lime over the apples. Add to pot or deep saute pan. 4. 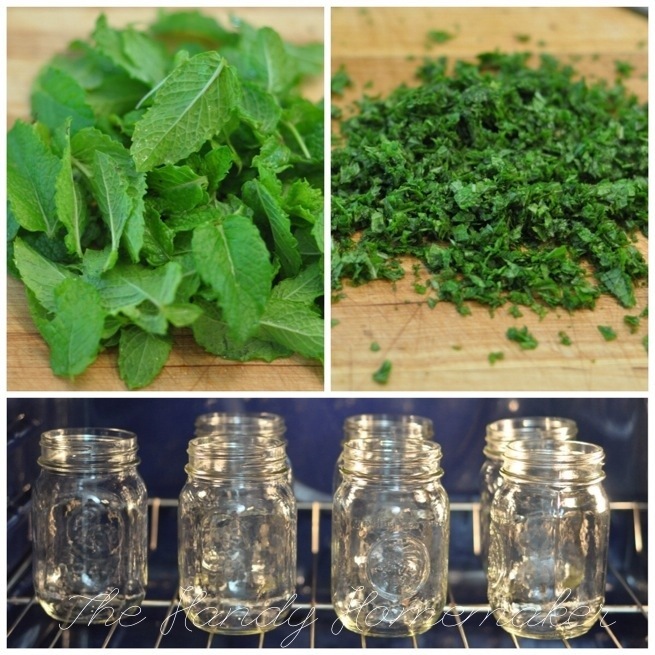 Wash, dry and chop the mint finely and set aside. 5. Boil your jars for 10 minutes or heat them in an oven set at 200°F for 10 minutes. (Keep this pot of hot water as this will be need to process the filled jars of sauce in a boiling water canner as an added precaution. 6. Add the water and stir over medium/high heat until boiling. Reduce heat and cover stirring occasionally to prevent scorching. 7. Simmer for 20 minutes or until the apples mash easily with your spoon. 8. 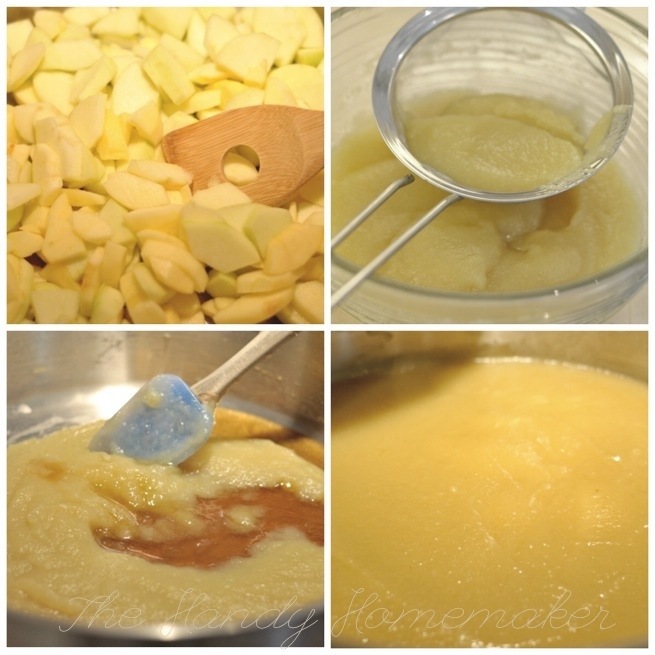 Mash the apples (or use an immersion blender) then pour the sauce through a sieve to strain any core or peel that might have been left behind. 9. Put applesauce back in pot and add the maple syrup. Cook over medium heat for 6-8 minutes, stirring constantly until the sauce is thickened. Be careful not to scorch. 10. Add the lime zest and minced mint. Stir over medium heat for 1 minute. 11. 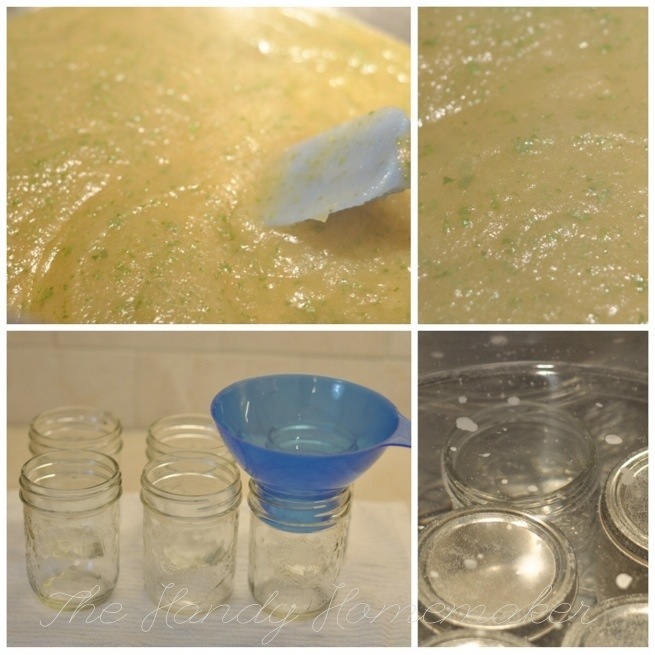 Using a ladle, fill the jars with the sauce up to 3/4 to 1 inch from the top of the jar. 12. Cover with the lids and set in boiling water canner. Process for 15 minutes. 14. Label, Share and Enjoy.